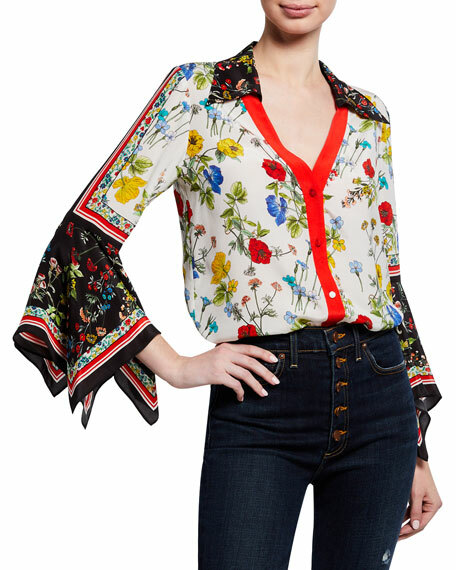 Alice + Olivia "Finn" shirt, featuring crisscross straps down split back. 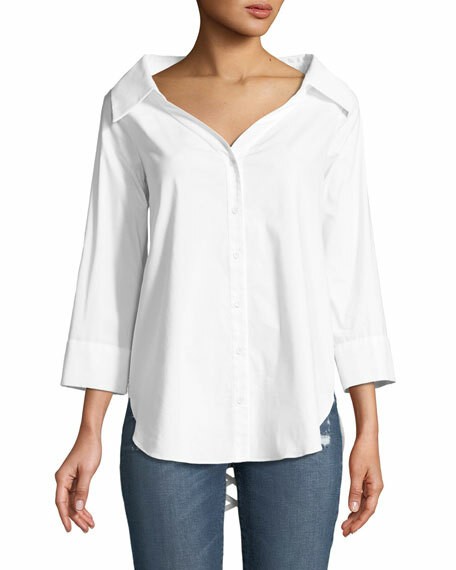 Spread collar; face-framing open neckline. 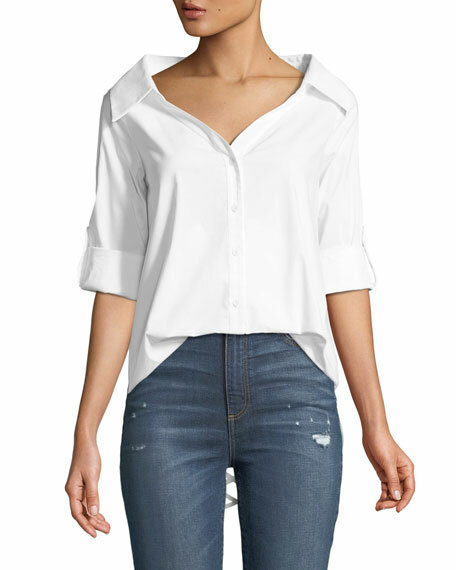 Three-quarter sleeves with roll tabs. For in-store inquiries, use sku #2538626. 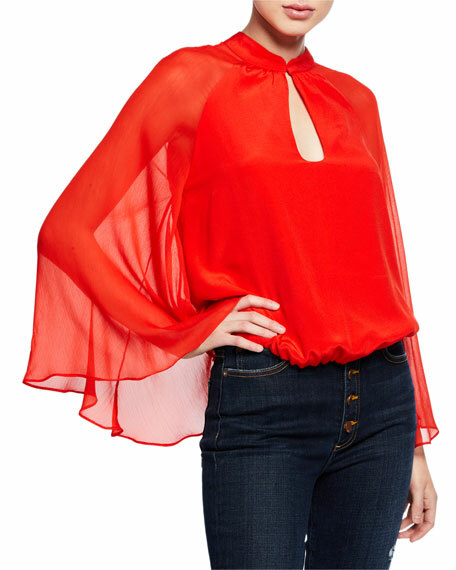 ALICE + OLIVIA JEANS "Prija" blouse with semisheer sleeves. 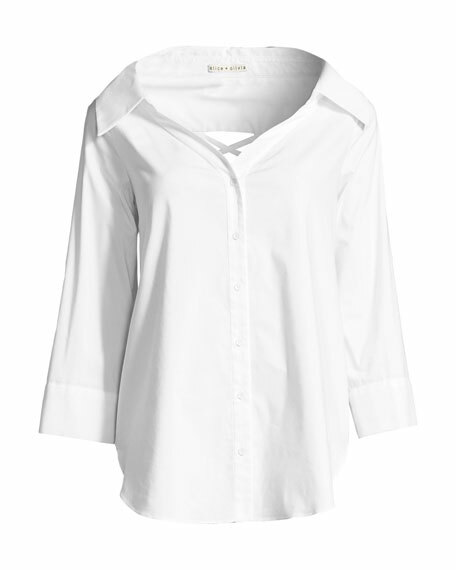 Mandarin collar; keyhole front. Long cape sleeves. Relaxed silhouette. Cropped length. Bubble hem. Pullover style. Viscose, shell/combo. Imported.